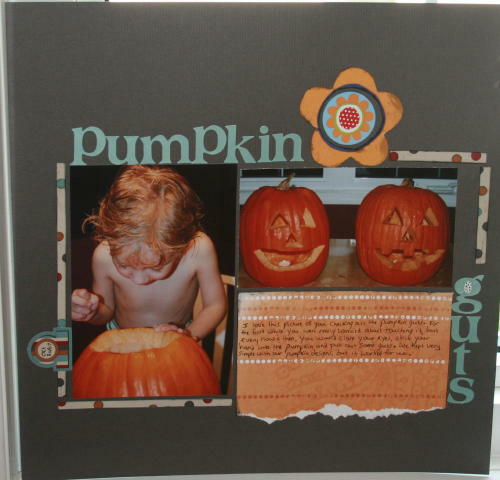 The final Layout I created with the Storyteller Scrapbooking kit is titled "pumpkin guts". I started by gluing the 2 pictures to the cardstock, and from there used bits of patterned paper, diecuts that I hand cut around, and lettes ro make a sort of square design. Thanks so much for sending me the kit...Not everything was exactly my style, but I altered it to suit me, so I had a blast.